Effective legal advocacy during times of personal crisis can enable you to move beyond the trouble successfully. 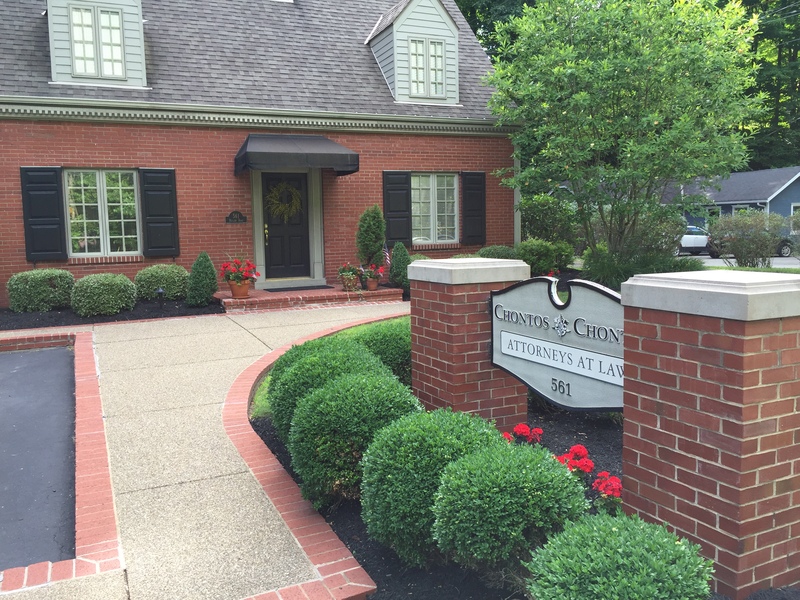 At Chontos & Chontos, we represent residents of Western Pennsylvania in divorce, criminal defense and other important legal matters. As attorneys with more than 30 years of combined experience, we understand how to guide clients to favorable results no matter what obstacles exist. We provide caring, knowledgeable advice designed to improve your likelihood of success and overall well-being. Caring for families — We understand that even those legal matters not classified as “family law” affect every family member. Purchasing a home, drafting an estate plan, and fighting criminal charges have an enormous impact on loved ones. As a husband-and-wife law firm, we never forget that your case — and our advocacy — affect your entire family. Creating a comfortable environment — All legal proceedings are accompanied by some measure of fear and stress. Since founding our firm in 1999, we have been committed to offering clients a welcoming environment in which we work together as a team to pursue a successful resolution. Providing detailed advice — We want clients to be engaged, which is why we always respond promptly to questions about their case and the law. We offer clear explanations that empower you to make informed decisions. Whether you’re facing a criminal allegation, marital split or property sale, we provide the same exemplary service that has won us the praise of clients and colleagues alike. Divorce — If your marriage is ending, we can help protect your rights in divorce disputes over child custody, spousal support and other issues. Criminal defense — Chontos & Chontos is a strong advocate for clients who require criminal defense counsel to confront allegations against them. Wills — Preserving assets for your family is an important duty at any age. We can assist you with the creation of wills and other instruments to transfer your property. Real estate — Our knowledgeable advice can simplify the details of real estate transactions for you. Civil litigation — For any type of civil litigation matter, our attorneys can develop a strategy that will increase your chances for success. Our legal advice is always tailored to your unique situation and goals because we take the time to learn about you and what you want to accomplish. Contact dedicated Western Pennsylvania lawyers for divorce and criminal defense representation. 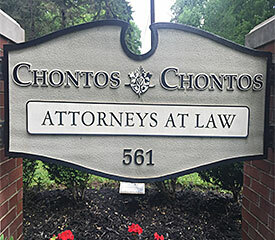 Chontos & Chontos represents clients in Western Pennsylvania in criminal defense, family law and other legal matters from our Turtle Creek office. Call 844-304-6380 or contact us online to schedule a meeting. In 2016, C.W. was charged in federal court with being a member of a drug conspiracy distributing pills. Her recommended sentence was 30-37 months. The sentence Attorney David Chontos was able to obtain was 25 months. "In the beginning I was difficult to deal with and at sometimes I felt you weren’t working in my favor, but, as I sit back and reflect, I can honestly say you did a good job and I’m forever thankful for your service." Attorney Jennifer Chontos has provided great legal services with outstanding results in both of my divorces. She has gone above and beyond in my complicated legal situations. Very compassionate and understanding, also very tough in her legal commitment to get the job done. Chontos & Chontos has also provided very good legal advice in other areas. They come very highly recommended in my opinion and I would definitely use their services with any other legal matters that may come along. When I first signed on with Jennifer at Chontos and Chontos, neither of us knew we were in for a ride that was going to redefine high-conflict. But through it all, Jennifer has always given me the sort of attention that makes me feel I'm her only client, giving me as much time as I've needed and always glad to go a few extra miles for me. Over the years, Jennifer has taught me that the strongest position isn't one of getting even but of being fair and reasonable, and time and again, my kids and I have reaped the many benefits of her level-headed approach -- which I've begun working to emulate in my personal life. I've referred friends to Jennifer and will continue to do so, and really, that's the highest praise I can heap on anyone. Our family has had the pleasure of working with Jennifer Chontos on a number of occasions. Jennifer is a knowledgeable, conscientious and responsive attorney. One of the things we particularly like about working with Jennifer is that she takes the time to understand our needs and gives us options without resorting to legalese or jargon. We can’t say enough good things about Jennifer and recommend her highly. I have had the pleasure of working with Jennifer on two separate occasions. The initial meeting was a revision of wills, POA's, and medical directives for both my husband and me. The second, was following the death of my father. I met again with Jennifer to process his will and estate. 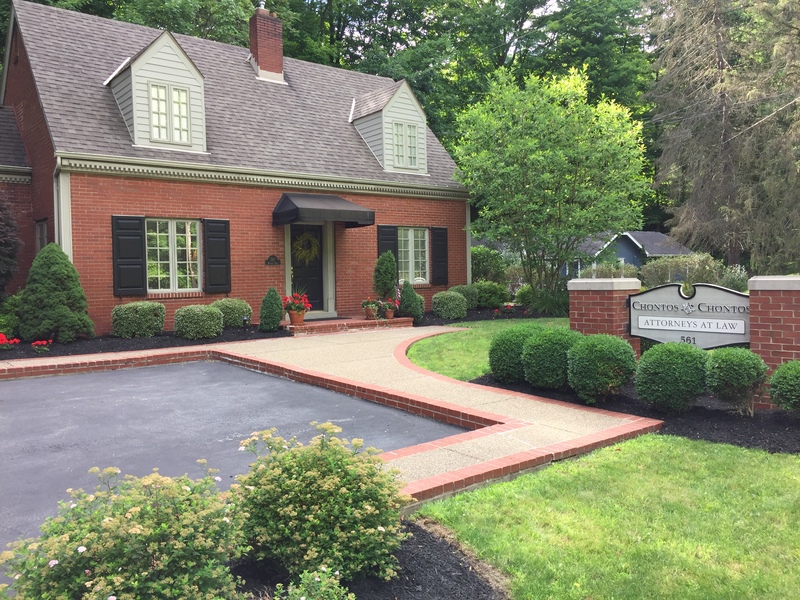 On both occasions, she was knowledgeable, efficient, and responded quickly to all questions and concerns. Attorney Chontos was a pleasure to work with, and I would do it again. I want to express my sincere thanks to Chontos and Chontos for all their help and support with my case. I don’t know what I would have done without you. Thank you for your candor, honesty, and opinion with my situation. It was all greatly appreciated. I will definitely recommend your firm to anyone that may need it. Jennifer Chontos has been representing me with various legal issues for over 10 years. Jennifer has very unique gift of being able to address any issue in the most professional manner while adding a personal touch that just makes you feel very comforting during your stressful times. I have had a variety of legal issues to overcome and Jennifer has always been able to guide me through with her patience, knowledge and the ability to truly understand what her clients want and need. I have even recommended several friends and coworkers to Jennifer over the years and they ALL have come to me afterwards to thank me. You absolutely won’t go wrong selecting Jennifer Chontos to represent you with your legal issues. I knew right away Jennifer Chontos was the right person to represent me. She answered all my questions and educated me on the possible outcomes of my case. She kept me informed and up to date on my case which made me feel comfortable throughout the whole process. She fought hard and was able to reach the best outcome. We had the pleasure of working with Jennifer Roller Chontos on two separate occasions. In both instances, we appreciated her work ethic, integrity, and honesty along with her flexibility to honor our wishes and schedules. She is a top-notch lawyer, and a real team player. We plan to enlist her services again, if ever the need arises. She is one of the best in her field. Jennifer Chontos is fantastic attorney. I previously spent thousands of dollars and over 2 years from another attorney trying to get a divorce but, nothing was done! Nothing! A friend recommended Jennifer. Jennifer was very prompt and efficient. She was in constant communication with me. She gave me “tasks to complete” and followed up to be sure I completed them. During this process she even recommend other attorneys to help with other issues, such as a new will and regaining possession of personal property. These attorneys were also great. Her prices are very reasonable. Her guidance through this painful process was priceless. She got the matter completed in a timely manner. I believe this divorce was too complicated for the first attorney that I hired, but his ego stood in the way to help me. Jennifer was up for the challenge. I first came to Jennifer in 2014 with an issue that required sound expertise. Jennifer is attentive, she listens to what you have going on and is able to quickly formulate an actionable plan. Jennifer is empathetic, accommodating, decisive, and astute; everything that an attorney should be, and yet more. She is confident, not cocky; perceptive, yet unassuming. Jennifer is fair, reasonable, and genuine; she doesn’t sugar coat anything, she says what needs to be said. Jennifer’s candid and honest conduct is highly desirable when one is seeking legal counsel. Traffic Violation Trouble? See how we can help. A junior in college with a good academic record but a terrible driving record came to see me. What can be done? His driving history showed 7 outstanding matters; all carried license suspensions. A divide and conquer strategy was implemented. Contact was made with the court for each of the matters and hearings were set. Given the passage of time, two hearings resulted in dismissals because the officers were not present. For the 5 others, negotiation led to guilty pleas. But admissions of guilt only to those violations which carried a fine and not a license suspension. It took 9 months to accomplish, but now this college senior can look forward to graduation knowing that he can legally drive to his first job.